We advise on what you should use AS for and how to use it effectively.application development, implementation and support. Having worked with AS extensively for over twenty years, we are well qualified to exploit the potential of AS Version 6.3 to the full and provide clients with cost effective solutions. ng working systems to specification and on time. We provide a comprehensive systems implementation service, including the supporting administrative procedures and software modification to meet exact requirements. We also supply help-line technical support, bespoke training courses, end user application support and system efficiency audits. By their nature projects are one-off exercises, pulling together disparate groups of people in order to bring about change. Projects are harder to manage than on-going activity. MCP are accomplished project managers, providing services designed to improve performance on time and cost and in line with quality requirements. We design and implement project management systems. We develop project organisations, and set up and run project offices. Using powerful earned value techniques, we provide an objective assessment of project progress, verification of work performed and reliable projections of total cost and timescale. 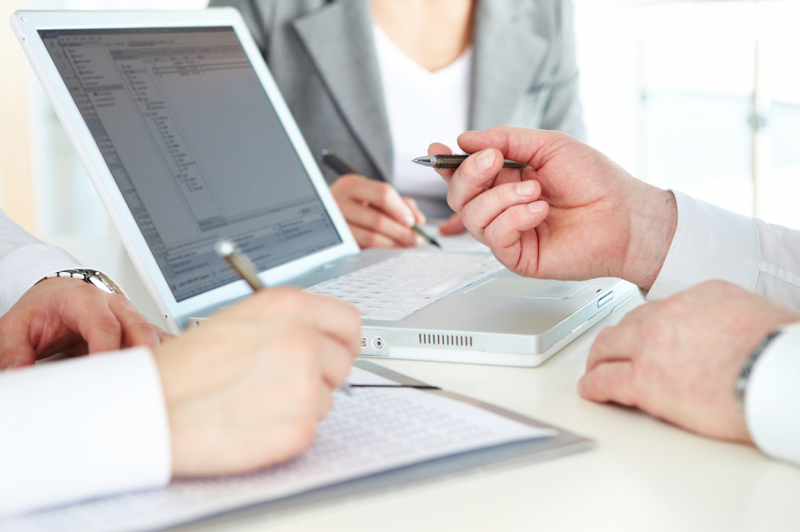 Consulting is a vital element in MCP's range of services. Assignments can be purely advisory or consist of advice and implementation services. 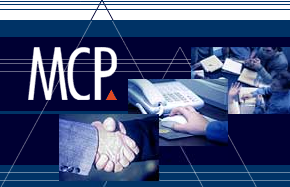 In either case MCP takes care to ensure that all its services support a business objective. We undertake feasibility studies and requirements analysis. We prepare specifications and undertake system evaluation, appraisal and selection. We provide implementation and operational support. MCP consultants work with rather than for our clients to ensure understanding and ownership of the solution from the outset. MCP abides by the Code of Professional Conduct maintained by the Institute of Management Consultancy. This Code requires us to act in the best interests of our clients and not to disclose confidential material to third parties. Business intelligence solutions generally require a dedicated database optimised for the application using it. MCP provides advice on the type of database required and the method of updating it. We offer a database design service and advise on the choice of data analysis and reporting tools. As data volumes increase the need for speed and performance increases. MCP provides a service to review legacy systems and update them. We use analysis tools to indicate deficiencies and improve performance through techniques such as further indexing and optimisation. As new systems are introduced, there is often a major challenge to get these to work with existing systems, to share data and provide seamless solutions. Many companies have legacy systems, which still contain valuable information, but are no longer compatible with the latest technology. Also as the result of company mergers and acquisitions there is often a need to combine management information from different systems and platforms. MCP's systems integration service provides the technical know how to integrate new systems with old and to transfer data between disparate operating environments to avoid repetitive input procedures and duplication. MRP - materials requirement planning or manufacturing resource planning - is a methodology and system used to plan and manage manufacturing operations. It is used to plan the use of company resources, such as raw materials, production equipment and processes. A particularly effective software product servicing this need for small to medium enterprises is 123insight designed and developed by 123 Insight (formerly Rent-IT). 123insight is a .NET software application based on Microsoft SQL Server. It provides users with the tools to carry out estimates and quotations, control stock, trace material location and usage, prepare billing, review product costs and KPI's. 123insight can also interface with accounting systems. It is recommended primarily for assemblies, capital equipment and process manufacturing industries such as automotive, defence, medical, oil, plastics and packaging. MCP, with a detailed knowledge of this product and twenty-five years of manufacturing management experience, compliment Rent-IT's services in order to implement it. We advise, appropriately resource, assess business need and shape business process by tailoring existing procedures and providing active assistance and encouragement, with the aim of improving performance and driving the bottom line profit. MCP provides a business orientated approach with respect to implementation, adopting a step-by-step project management methodology to ensure maximum benefit for each client with minimal disruption to current processes. We also offer assistance in integrating this software with existing packages (for example, with Microsoft Access and Access Dimensions), data cleansing or simply bridging a gap when required. For further information on 123insight visit www.123insight.com. An IT Strategy Review identifies the current impact of IT on business performance and outlines ways of involving IT in business development. Key questions for any organisation today are: To what extent does IT contribute to bottom line impact? and Is IT expenditure aligned with business strategy? The drive for competitive advantage has led many companies to the conclusion that IT must engage in the development of business strategy and become more than a support service to other parts of the business. An IT Strategy Review attempts to examine this option and provide a road map for bringing IT actions in line with best practice in order to enable it to grow out of being a service provider into a contributor to business performance. Following an initial survey, MCP will adapt an IT Strategy Review to individual requirements. MCP's approach is based on structured interviews and portfolio analysis. Interviews are held with business managers and accountants as well as IT professionals. The portfolio is designed to cover the entire expenditure on IT and contains an inventory of hardware, software, services, management processes and new investments. Every element in the portfolio is assessed against an evaluation guide and scored. MCP can assist in the creation of an IT portfolio and in the definition of assessment procedures where there are none. The Strategy Review concludes with a set of options and recommendations. Assistance with implementation is also offered if required. Every BI company claims their product is simple to use, flexible to adapt, and fast to implement. They'll show it to you under "adult supervision" – using either canned data or lots of consultants. This is where QlikView is different. It is the first business intelligence software designed to work the way your mind works. We invite you to download QlikView now and personally experience the power and simplicity of associative analysis without consultants, canned data or marketing fluff. Download it. Qlik it. Love it.